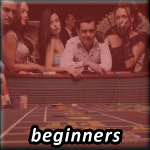 Welcome to the Casino Answers Craps Guide where we take you through the fabulous game of Craps, talking strategy, beginners information, advanced Craps players guides and of course Craps Betting Systems. Craps of course is a lot better to play in a live casino – the atmosphere is a huge factor in just how fun Craps can be. However there are still some great options for you if you want to play Craps online. Here is some articles to help you find the right Craps Casino for you. We have went through all the online casinos and played all of their craps games to find you the best places to play online, depending on what type of Craps player you are. Whether you want to play for free or real cash, we’ve got you covered. It’s no surprise that Craps is one of the most popular categories here at Casino Answers. I’m sure everyone has walked by a Craps table in a casino at one point in their lives, and wondered what all the fuss is about. Although Craps may seem a complicated and overwhelming game, it’s actually very easy and with our Craps for Dummies guides that we offer, you can literally understand and be able to play Craps within mere minutes, and feeling the rush as you roll those dice. So you’ve read our guides above or tried out Craps and understand the rules, and are ready for more? It’s time to forget the Craps basics and really sink your teeth into Craps. No more holding your hand – we throw you right into the deep end with our Craps advanced players guides and get you on your way to being a Craps Pro. And don’t worry – we know Craps can be quite a scary or confusing game to start at so we’ve made these articles as simplistic as possible. Craps is one of those games that unfortunately there really isn’t many variations of – although let’s be honest, if it ain’t broke, why fix it? Craps at its core is one of the best casino games available. Of course there are a few slight variations of the excellent game of Craps, and we have provided all information on the different types of Craps games. Even the Craps games that technically don’t exist! Whatever the Craps game is – we cover it all for you. If you hear of any other Craps games be sure to send in information about them so we can add it to our Craps guide. We sometimes receive mini questions about Craps that don’t fit in any of the topics above, or write an article that really isn’t applicable to the above Craps sections. Hence the Craps miscellaneous section, where we cover everything we can about Craps. If you have any questions about Craps please don’t hesitate to ask using the contact form below, and we’ll do our best to answer it for you. We love talking about Craps almost as much as we enjoy playing it! How Do I Win at Craps All the Time? What Are Big 6 & Big 8 Bets?